September has now nearly run its course. The weather is chilling down, the wind is picking up, and October will be upon our doorstep very soon. But while pumpkins may begin showing up in select supermarkets, the United States is in the midst (and hopefully soon coming out) of a cooking and baking pumpkin shortage. My local supermarket has some pumpkins already out, but does not have any canned pumpkin. Another supermarket nearby has some cans of organic pumpkin, which may be what I use the most of this season. 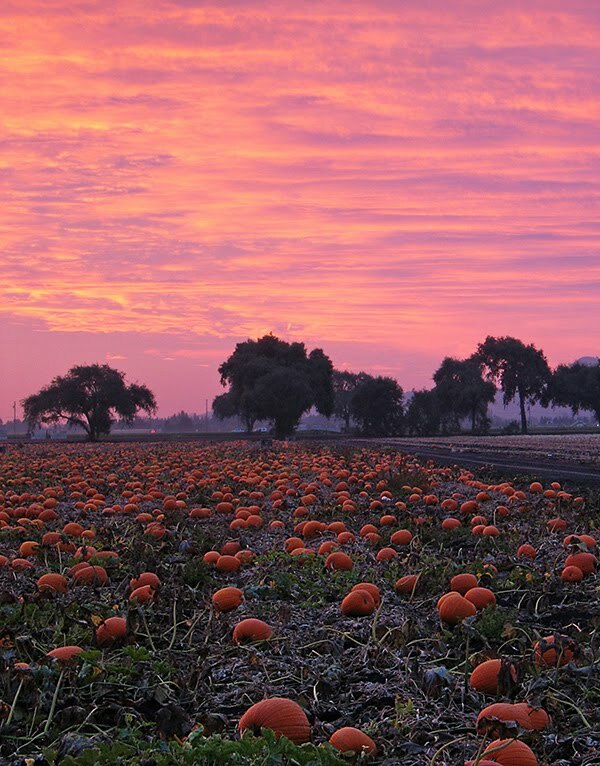 Central Illinois is the source for almost 95% of all American-grown pumpkins that become cooked and canned. Late last summer, as the pumpkin harvest began, Illinois experienced their third growing season of too much rain and not enough sun. 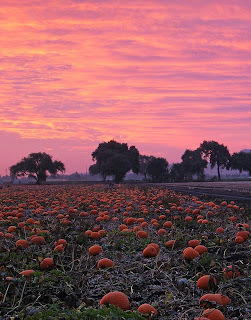 Soil conditions were harsh, with tractor axles becoming buried and stuck in mud, leaving large portions of the pumpkin crop to rot, unharvested. 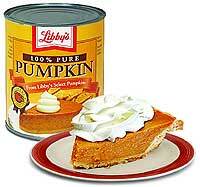 To try and make up for this shortage in 2010, companies such as Libby's (who are responsible for 87% of canned pumpkin sold in the U.S. from September to December) have added acreage to their crop. As of this writing, there appear to be mixed news reports as to the pumpkin crop's outcome this year. An article in North Central Illinois' News Tribune reports on reports from around the state claiming that another wet season and diseases such as mildew have killed many pumpkin crops. However, yet another article in the Columbus Dispatch has grocers confidently stating that "canned pumpkin will be readily available this fall and on store shelves in time for holiday pies and other treats." I will be remaining cautiously optimistic; not anticipating the worst, but still hoarding each can I am able to find this fall.